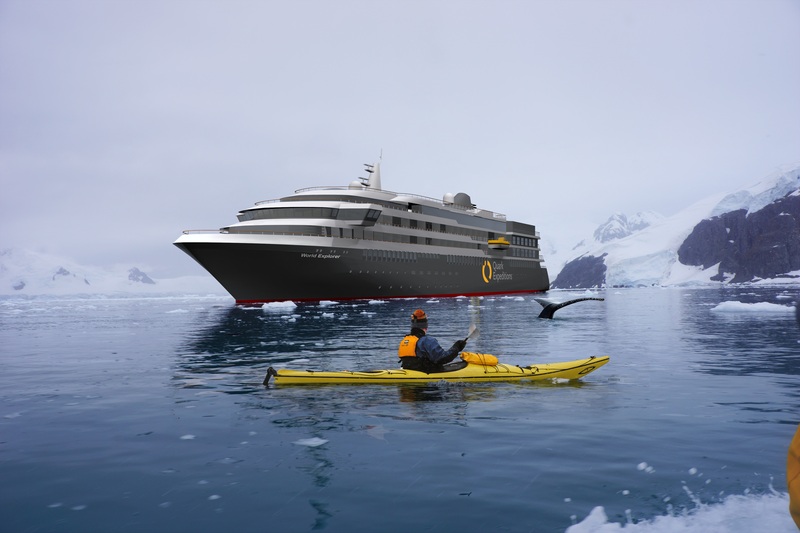 Quark Expeditions® reveals the latest addition to its Antarctic fleet – World Explorer, its fastest and finest expedition ship to date. The hybrid, polar-capable ice class 1B expedition vessel with incredible service will complete ten spectacular voyages in the upcoming 2018/2019 Antarctic season. 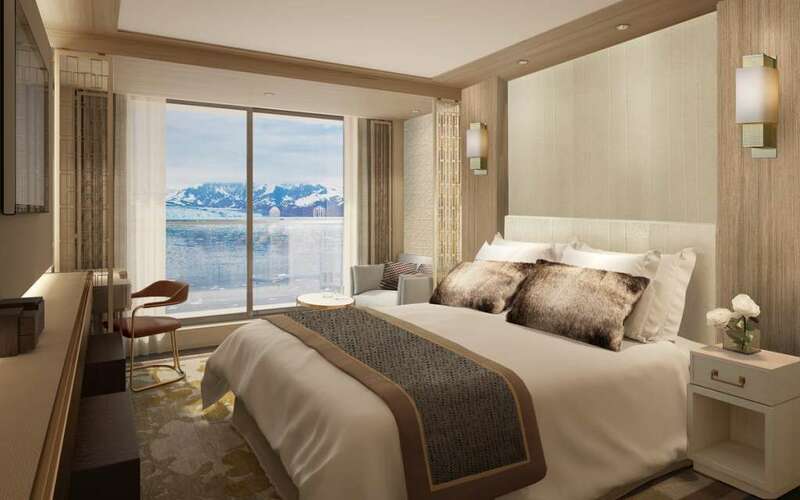 Antarctica offers a unique setting for expeditionary cruises, and Quark will offer the opportunity to explore this amazing region with all the comfort and splendour of a luxury hotel. Whether it’s quiet contemplation from the observation lounge with skyline views, getting up close and personal with remarkable wildlife or embracing the spirit of adventure from a sea kayak, World Explorer meets the needs of every type of traveler. As a hybrid ship it is able to run on electric motors that minimise noise, meaning travelers can fully immerse themselves in the pristine, natural wonders of Antarctica with only the sound of cracking ice. The environmentally friendly hybrid propulsion system of the ship allows for lower CO2 emissions by incorporating state-of-the-art Rolls Royce diesel/electric engine technology. qurThe ship interiors meet the highest standards of luxury with six spacious suite options (20-33sqm). Each have their own balcony so guests can enjoy their own private experience of this unique, beautiful region. There’s also plenty of storage for expedition equipment and a mudroom for personal expedition gear. This spacious changing area allows passengers to comfortably prepare for and recover from offboard adventures. This is also where passengers’ clothing is cleaned and prepared to ensure the local environment is maintained. Quark believes that the Polar Regions are best experienced in small groups of like-minded adventurers and therefore the ship allows for a maximum of 176 guests. 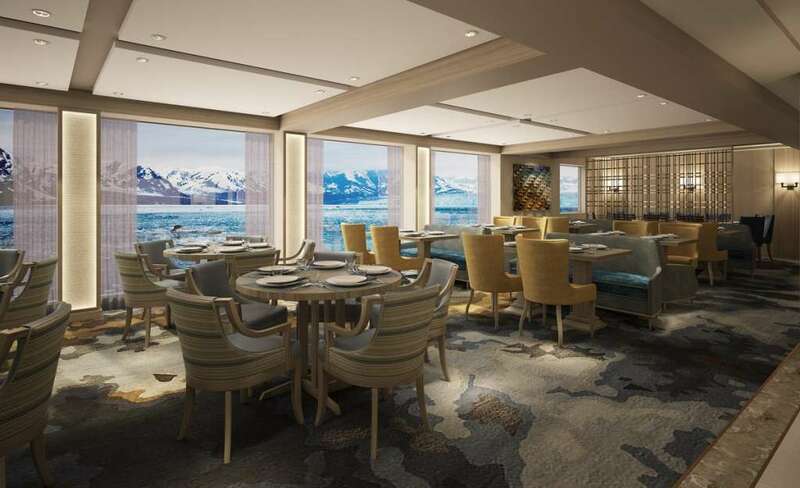 A glass domed observation lounge, a lecture theatre, a library and ample lounge as well as outdoor deck space allow for stunning views across the polar landscape with its pristine glaciers, glistening icebergs and exceptional wildlife. Quark doesn’t operate traditional cruise ships – in true explorer spirit, they operate small expedition ships, authentic icebreakers and even a small exploration vessel, each carrying not more than 200 passengers. Its safety and training processes in many cases set the standard for the industry: Quark is the only expedition cruise company awarded British Standard BS 8848, externally recognizing Quark’s outstanding health & safety management. Quark Expeditions® is also profoundly committed to environmentally responsible tourism. Sea kayaking: Kayaking adventures are a great way to feel at one with the sea – imagine gliding along the calm water surface of a deep blue bay, surrounded by glaciers and icebergs! Camping: Who can claim they’ve camped on the 7thContinent? This overnight camping adventure seizes the opportunity to spend one night under the crisp polar skies and to experience the deep silence of the most remote environment on Earth. Stand-up paddle boarding: Nothing calms the mind more than slowly exploring the quiet polar waters on a stand-up paddle board. It is immediate fun – and a fantastic workout at the same time! This activity is accessible to people of all ages and easy to learn. These breath-taking experiences, combined with Quark’s award-winning polar specialist expedition team and the new premium vessel, will set a new standard for polar exploration in the upcoming season. Quark Expedition’s® Antarctic 2018-2019 season is one you won’t want to miss! Antarctica has been inspiring explorers for centuries and this expedition offers you the chance to discover why with an unforgettable journey through the spectacular wilderness of the South Shetland Islands and Antarctic Peninsula. Imagine cruising in a Zodiac through crackling sea ice like shattered glass, witnessing penguins building their nests, or navigating through a maze of icebergs. A short, comfortable flight from Punta Arenas, Chile, to King George Island in Antarctica has you with boots on the ground in no time. You may go in search of whales and find yourself bearing witness to a glacier calving. Or you may plan to climb one more peak for a better vantage point and find yourself in a rookery of curious penguins. Antarctica will leave you in awe, but it won’t leave you unchanged. You’re ready to explore The South Shetland islands and the Antarctic Peninsula—and no Drake Passage crossings are required! With a spectacular aerial view, included charter flights between Punta Arenas and Antarctica have you experiencing the majesty of the 7thcontinent before transferring you to your ship in no time. This is a truly epic adventure through the remote Falkland Islands, the wildlife paradise of South Georgia and the extraordinary landscape of the Antarctic Peninsula. You’ll enjoy unforgettable encounters with untamed wildlife in a vast, dramatic and spectacular setting; you’ll take a step back in time at historically significant sites; and you’ll be mesmerized by the rich diversity and contrasts that make these regions so captivating and unique. See scores of penguins dive for food, herds of elephant seals bathe in the sun, and pods of orcas pass you by.